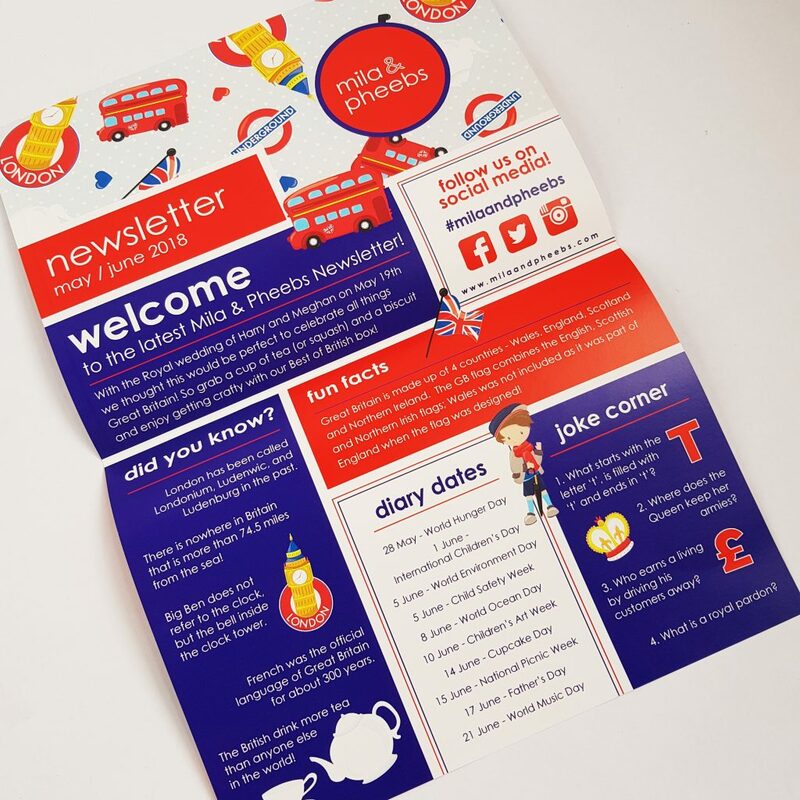 As I’m sure you know, Prince Harry and Meghan Markle got married recently, so this month’s theme is very appropriate – Best of British! There’s lots of great stuff in the newsletter about Britain and the Royal Family! 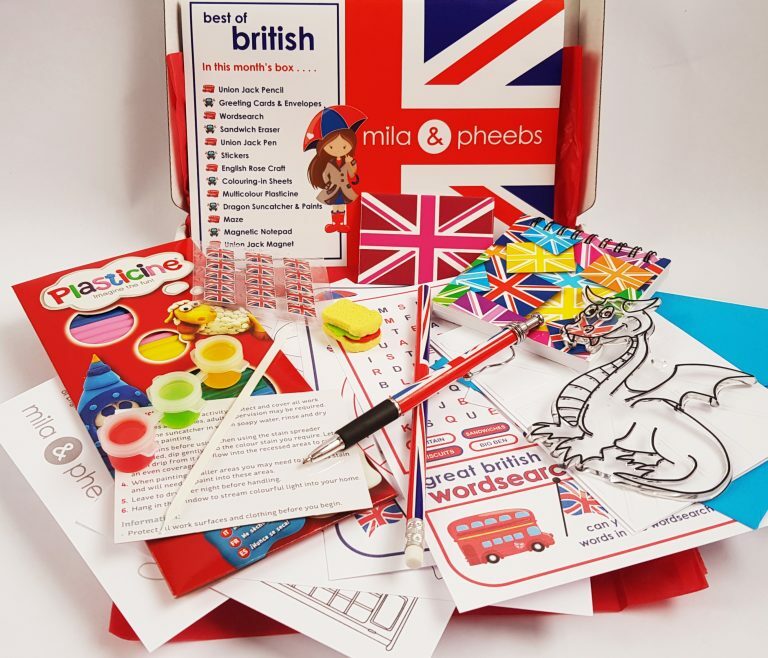 It’s always exciting to open up a new Mila & Pheebs box! So many Union Jacks! 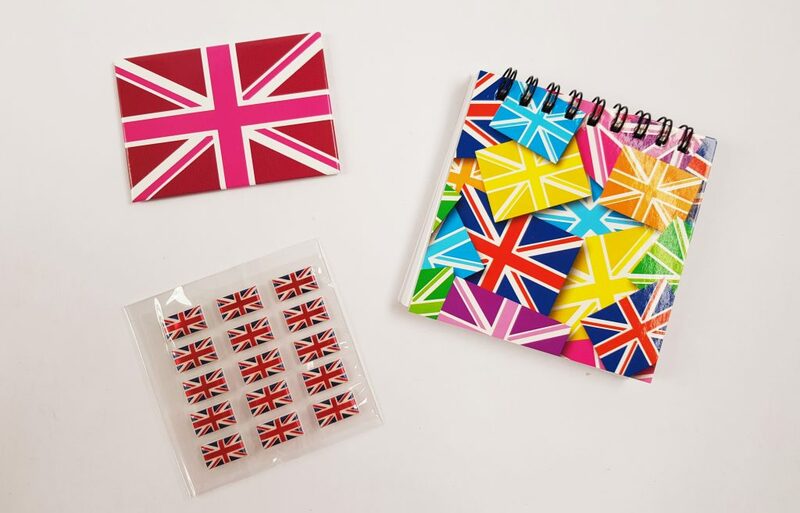 A pack of lovely 3D flag stickers, a cute little notebook, and even a fridge magnet! 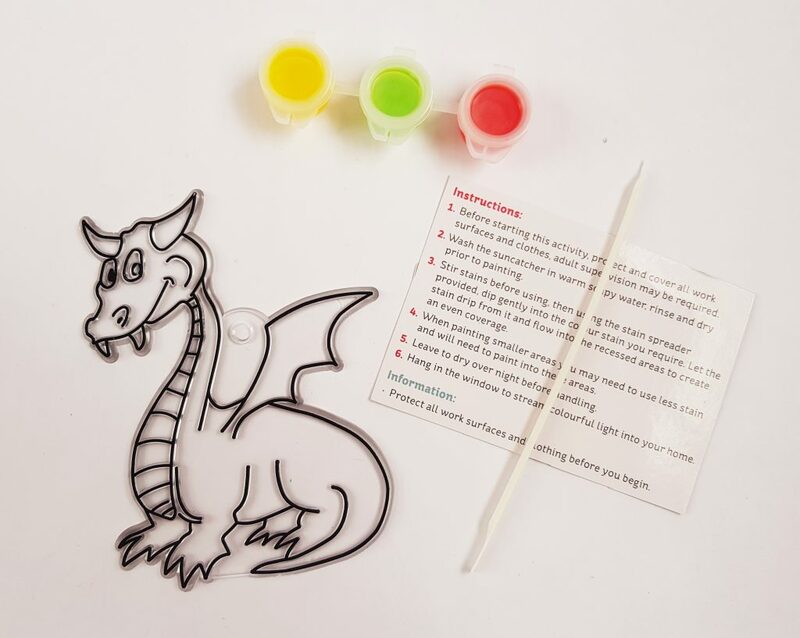 This is a terrific craft – a Dragon Suncatcher. 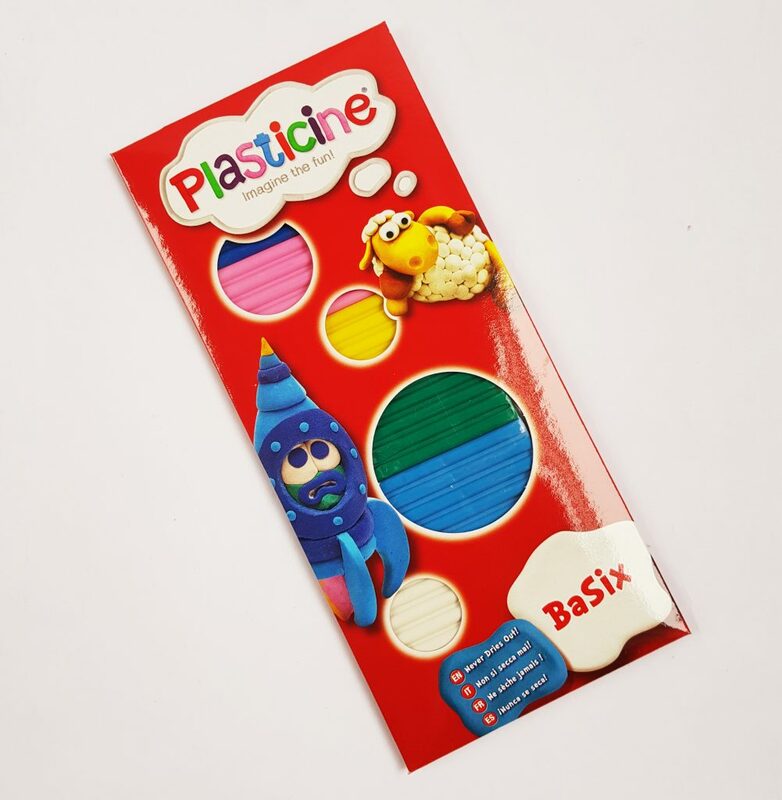 And who doesn’t love Plasticine! Definitely one of Little C’s favourite things to play with. There’s endless modelling fun with this stuff. There are always blank greeting cards in a Mila & Pheebs box. 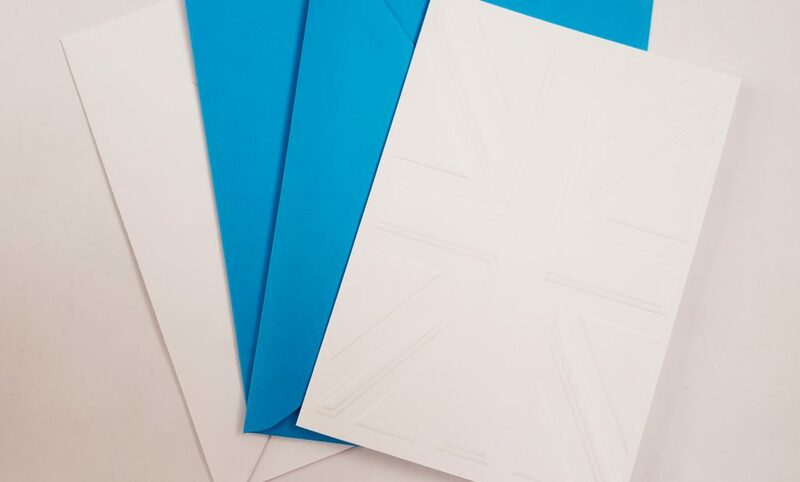 Annoyingly you can’t see the Union Jack pattern on the white card, but I promise you it’s there! There’s also a plain blue card to decorate as you wish. Perhaps with some of the stickers? 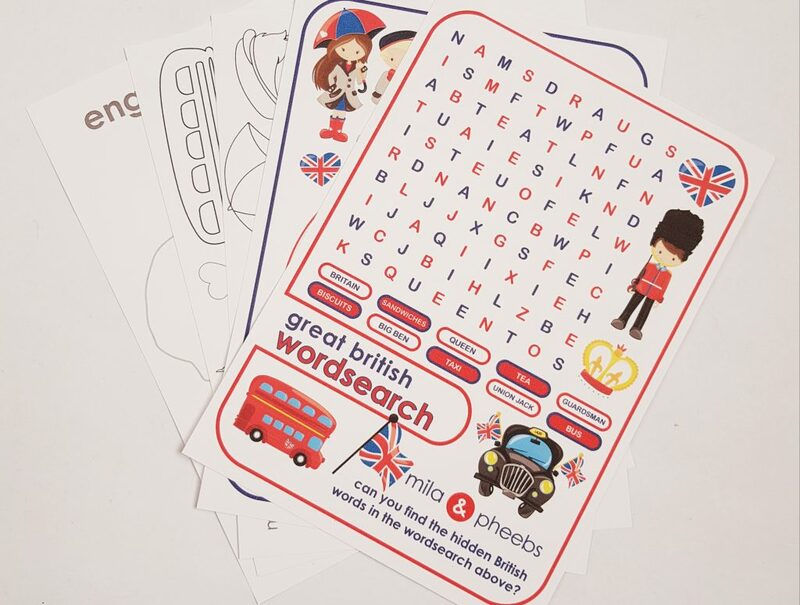 The colouring and word puzzles are always terrific, this time British themed! 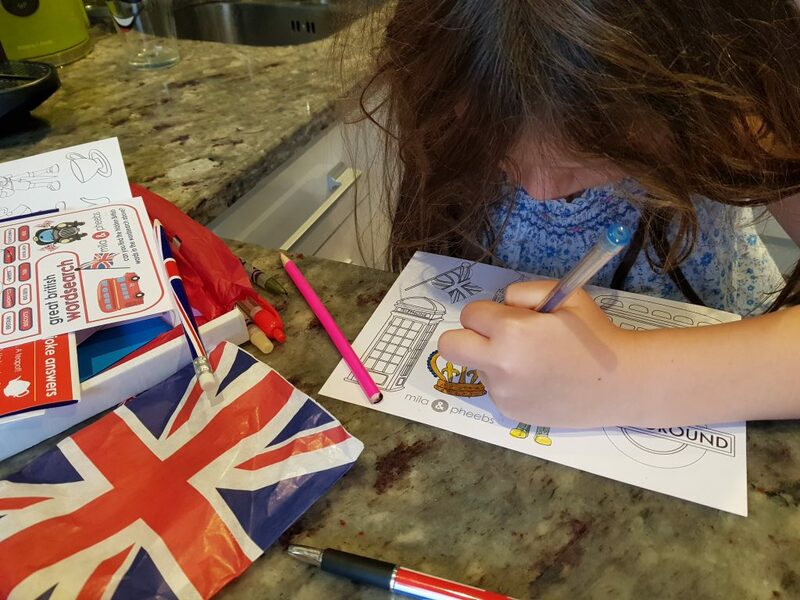 And perfect for writing cards and filling out the puzzle sheets – a Union Jack Pen and Pencil Set! Oh, and top left is this month’s adorable mini eraser, this time in the shape of a good old British Sandwich! 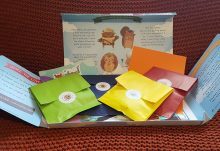 This is such a bright and fun assortment of goodies! I especially like the dragon suncatcher, that will look excellent hanging in the window. There’s always a great variety in a Mila and Pheebs box. 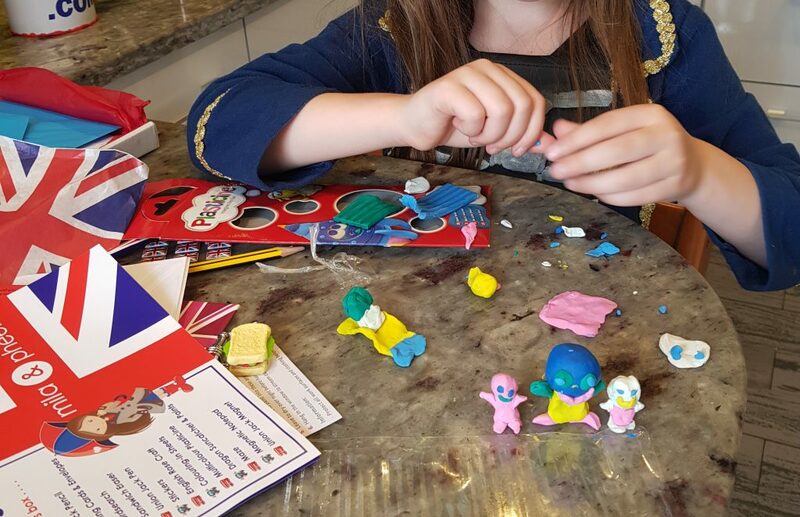 There are things to make and things to simply enjoy being creative with! 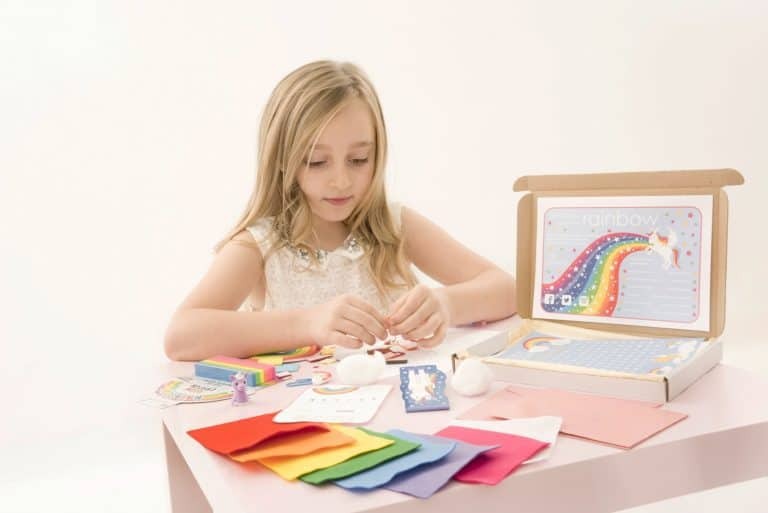 The blank greeting cards are a great touch, because I think making personal cards is much nice than something shop-bought, and a great way to get kids into the habit of making cards. 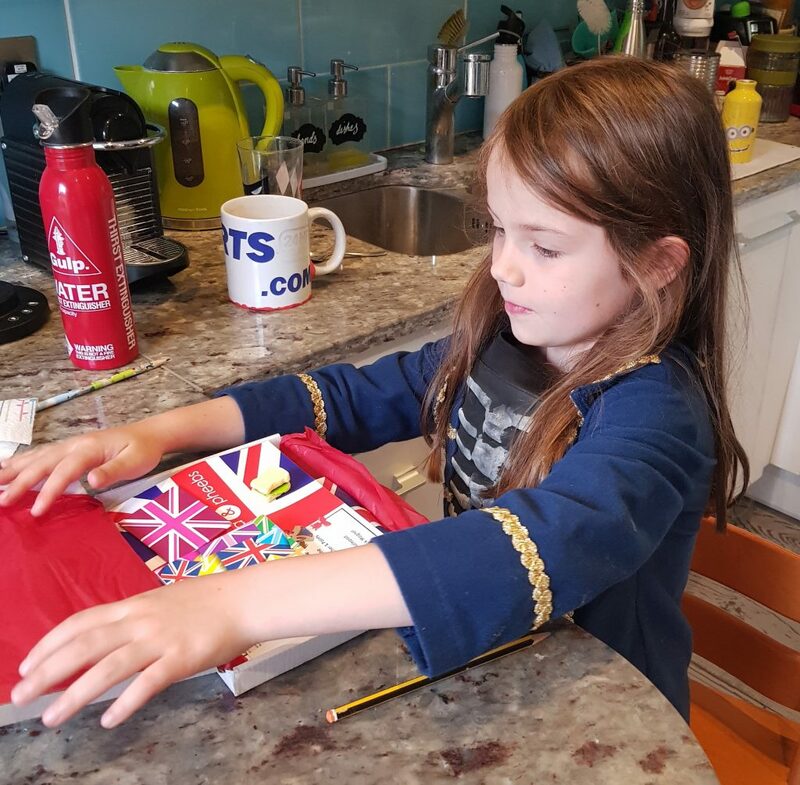 Colouring can be enjoyed at any age, and even if the word puzzles are a little tricky to be handled alone it’s a great opportunity to help your kids learn! All the boxes are entirely neutral and can be enjoyed by boys and girls. 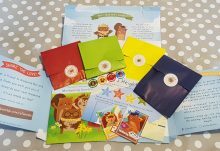 They’re great to play with on a rainy day, as a reward, or even to take away on holiday for a bit of novelty! 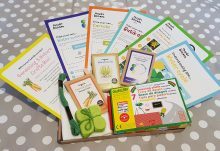 A terrific celebratory box of creative fun!